"Transfomers with ventilating openings shall be installed so that the ventilating openings are not blocked by walls or other obstructions. 450.9"
Transformers are a simple piece of technology when compared to complex mechanical works or computer systems. They are also very common, very critical to the correct operation of our power systems and very dangerous if not installed correctly. This study module will be focused on the installation and inspection of dry type transformers. 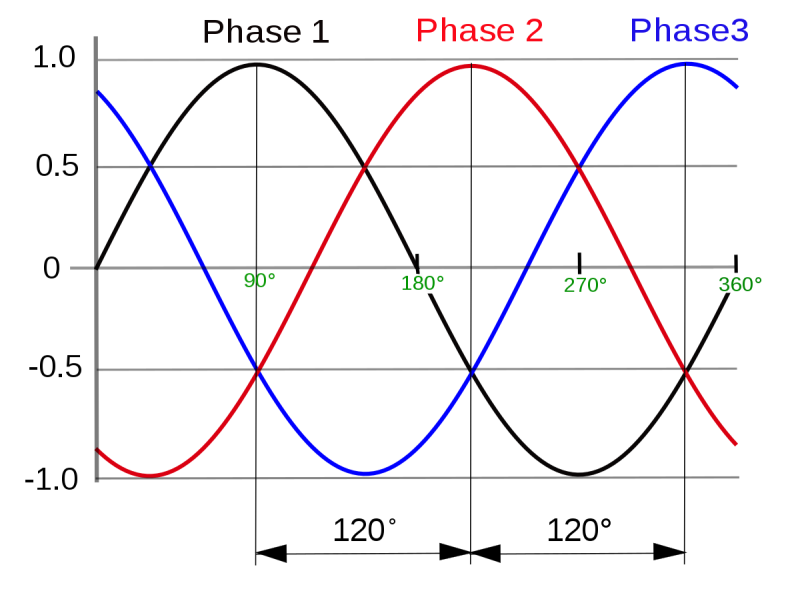 We will also review phase and line relationships in the three phase transformers. 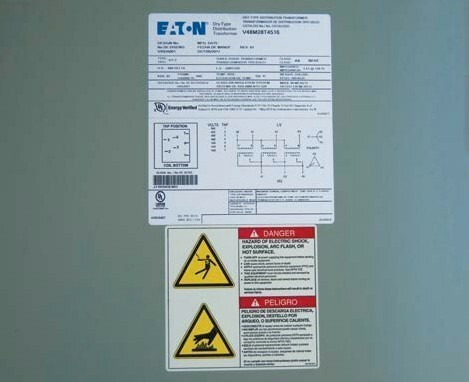 When performing an on-site inspection of a transformer, it should be a priority to verify that required codes are met for labeling to avoid personnel danger and potential penalties. Dry-type transformers typically have a nameplate section in the front with exposed terminals behind the front cover. 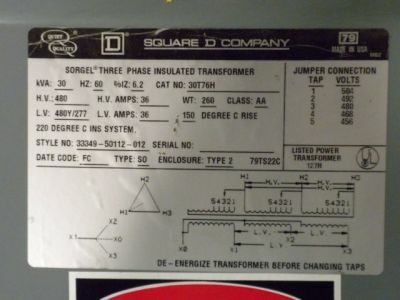 Because this is the main access point, it is usually not necessary to label the other sides, although many manufacturers place torque requirement tables on the reverse side of the front removablce panel. .
Manufacturers must also mark each transformer with the name of the manufacturer, rated kVA, primary and secondary voltage, impedance (if 25 kVA or larger), and clearances from ventilating openings. Look on the transformer for the required clearances, as these are manufacturer’s instructions and you must comply with them according to the National Electric Code, Article 450. 9. It is also very important to remember that this Article also states that these openings can not be blocked. This includes by bolting lugs or other things to them. You must keep them clear. 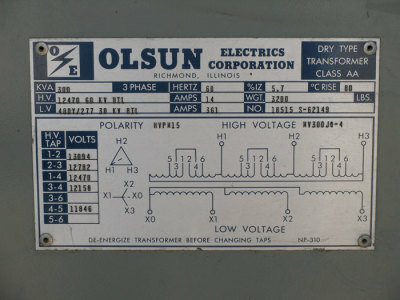 Labels also include other valuable information, such as the impedence of the transformer, which is needed when doing available fault current calculaitons. 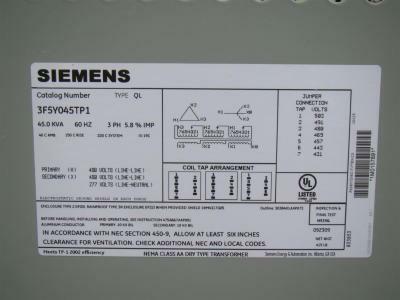 A wiring schematic is also included on the label so that you can identify the windings type and the internal wiring configuration of the transformer without opening it.